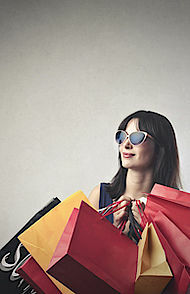 Consumers are keen to buy sustainable fashion. But where are they to do so? Some answers to this question are given by exhibitors at the Ethical Fashion Show Berlin and the Greenshowroom, new store formats like Supergoods or organic cotton pioneer Patrick Hohmann at Remei AG. In China, too, there is an increasing focus on CSR in the fashion industry. 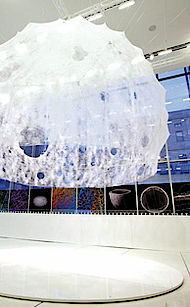 Innovations are constantly coming onto the market, as can be seen in the case of technical textiles. 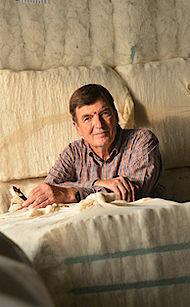 The eco-fair textile market is developing continually. Keep abreast of the latest developments in the world of 'Sustainability & Textiles' with our newsletter. Results of study provide reality check: more and more consumers want green fashion. But there is still too little available to buy. Consumers are on the starting blocks, but fashion retailers are not keeping up. More than 54 percent of Germans would like to see sustainability criteria applied extensively, and not only as a secondary collection or a sideline. 81 percent would pay over 8 percent more for sustainably produced clothes. 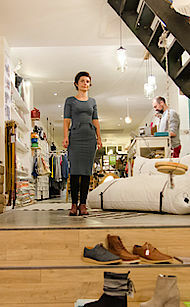 But eco-fair fashion can be bought mainly only from concept stores and smaller specialist shops. The major traditional retailers, on the other hand, are extremely reticent – both in Germany and worldwide. An exclusive contribution from Rebecca Espenschied. 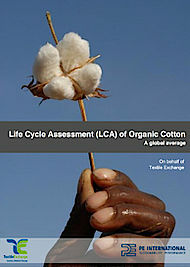 The first life-cycle analysis for organic cotton, conducted by Textile Exchange, shows us in black and white: organic cotton is significantly better for the environment than conventionally produced cotton. 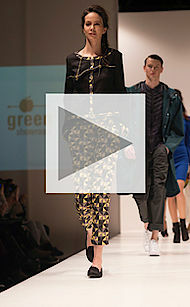 Aesthetic appeal, coolness, design: at Supergoods, green fashion is anything but clothes for hippies. Instead, the Belgian online shop and the store of the same name in Mechelen sells cool, sustainable labels, for which both fair and ecologically acceptable production processes and, above all, style are at the forefront of concerns. 'From Insects' – in the context of this project, French textile designer, Marlène Huissoud has developed an innovative leather material from the fibres of the silkworm's cocoon. She has christened it 'wooden leather', because it looks a bit like wood on the surface. 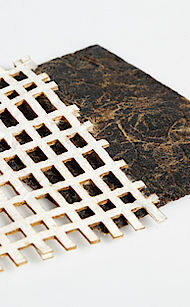 It is a 100 percent natural, sustainable material, for which there are a multitude of uses in the textile sector. 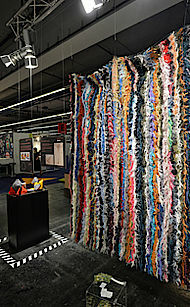 The biennial Techtextil show, to be held from 5 to 7 May 2015 in Frankfurt am Main, will turn its attention to the innovative topic of 'organically-based textiles'. Impacted by the on-going transformation of the traditional industrial culture to one of a resource-sparing organically-based economy, this change is also of considerable future relevance to the textile industry. With this as its focus, the world's leading trade fair for technical textiles once again promises to become a real sector highlight. 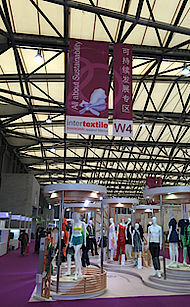 Intertextile Shanghai Apparel Fabrics Spring (18 to 20 March 2015) is not only moving to a new venue this spring, it is also focussing more strongly on the topic of sustainability with the first 'All About Sustainability Zone'. With its 'Young Creations Award: Upcycling', the international trade fair for home and contract textiles, Heimtextil, seeks to reward students and recent graduates on courses in interior architecture and design for the development of items designed with sustainability in mind. This is the third time that the award has been conferred, but the first time that the competition is open to entrants from all over Europe. At this juncture in future newsletters, we shall be introducing personalities, who have significantly impacted on the eco-fashion sector through the work they have done. Inspiring people, who describe their life's work in their own words. We begin this series of features with Patrick Hohmann, Founder and Managing Director of Remei AG. 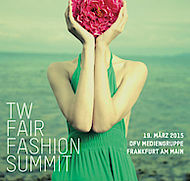 Bringing together a broad spectrum of specialist knowledge – at the first TW Fair Fashion Summit, decision-makers and experts from industry and commerce discuss the sector's sustainability strategies.